Eczema is considered an immune deficiency and requires a cure to work both inside  and out. Aloe Vera is one of the few natural wonders that has been shown to reduce eczema symptoms both on the skin and in the immune system. In fact, according to MedlinePlus, a service of the National Library of Medicine and the National Institutes of Health, notes, “Some chemicals in aloe gel seem to be able to increase circulation in the tiny blood vessels in the skin, as well as kill bacteria. Together, these effects suggest that aloe gel might be effective in accelerating the wound healing process.” Although it is too early to come to a final conclusion, many reputable studies indicate that aloe does in fact strengthens the immune system, as well as assisting in healing epithelial tissues. 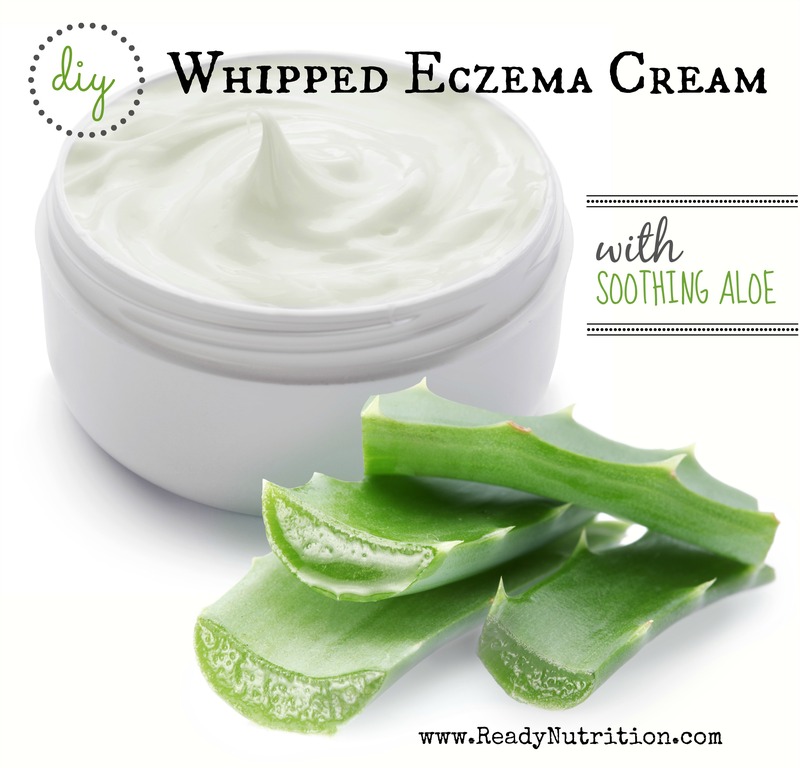 Using a large spoon, add eczema cream to clean containers .